WordPress has earned considerable fame in the CMS industry, and has become the most widely-used CMS platform for webmasters and individuals alike. One of the biggest reasons that encourage users prefer WordPress for building their website is because of the beautifully-crafted (free and paid) themes it offers – that makes setting up any WordPress site a painless task. If you’re inspired by iOS design and would like to create a website based on one, then Flatio WordPress theme is exactly what you need. The theme is responsive. Furthermore, it’s elegant and professional design makes it a good fit for creating a business or portfolio website. Tailor, just as the name implies, is created primarily to meet the needs of tailoring business. The theme features a clean design structure that is SEO-friendly and optimized for all mobile devices. Plus, the theme is easy to use and can be customized without much hassle. Also, the theme loads incredibly fast. This is an excellent theme perfectly-suited for creating a modern and beautiful portfolio theme. It is mainly developed to address the needs of creative professionals like photographers, designers, etc. It displays a very neat yet sophisticated design that will easily capture your users’ attention. 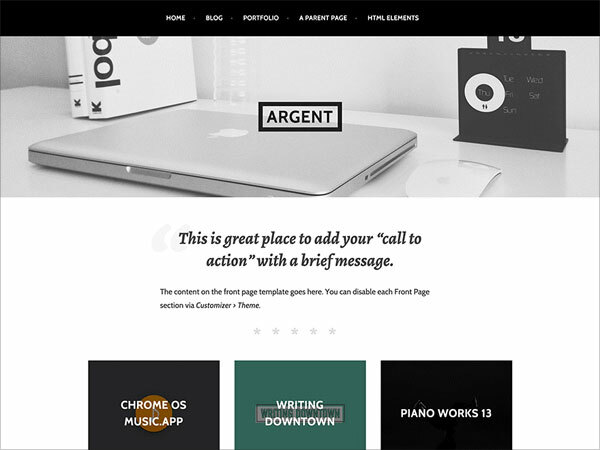 Argent contains several great features like responsive layout, custom menu, allow display of the featured image and much more. 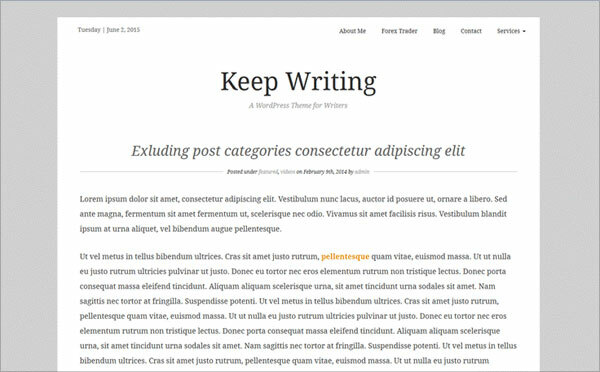 Hued Theme is a responsive theme that includes many blocks, allowing users to show different entries on the homepage, which makes this theme a great choice for showcasing your memories or blog posts. The best part is that it comes bundled with several customization options and features like layouts options, beautiful author info block, ability to customize color scheme, etc. You can even change the position of sidebar to left/right, or can even hide it completely. 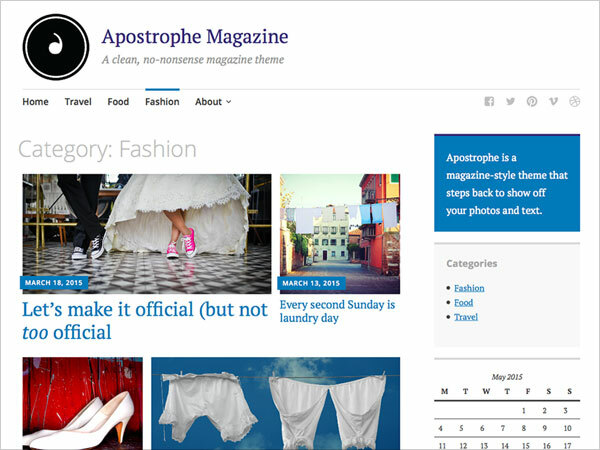 Are you looking forward to building a clean and non-nonsense magazine theme? Well, then Apostrophe Magazine will best fit your need. 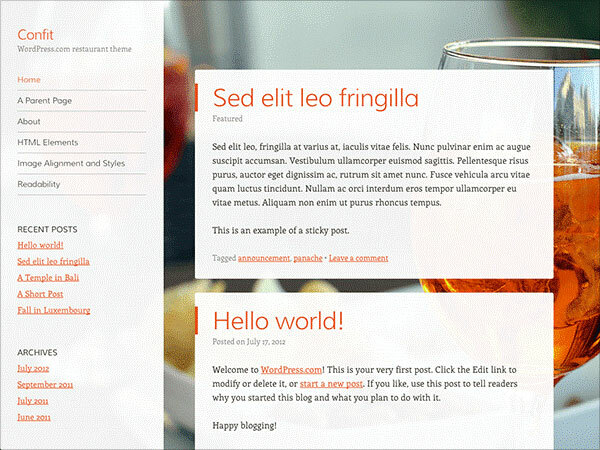 This theme features a two-column layout that can be converted to a one-column layout as well. It is a mobile-optimized theme that comes with a rich feature set, including full-width template, theme options panel, support for sticky post and a lot more. If you’ve been searching for a mobile-friendly (and responsive) theme for your e-commerce website, then e-commerce WordPress theme is worth a try. 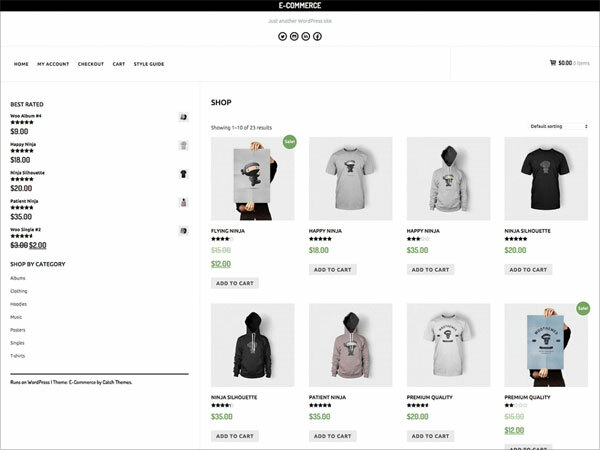 The best aspect about the theme is that it is designed to work well with the popular WooCommerce plugin. What’s more? E-commerce is a mobile-ready theme that looks great regardless of the device it is being viewed on. Want to build a psychology website or would like to create a blog on psychoterapy, psychoanalysis, and anything related? 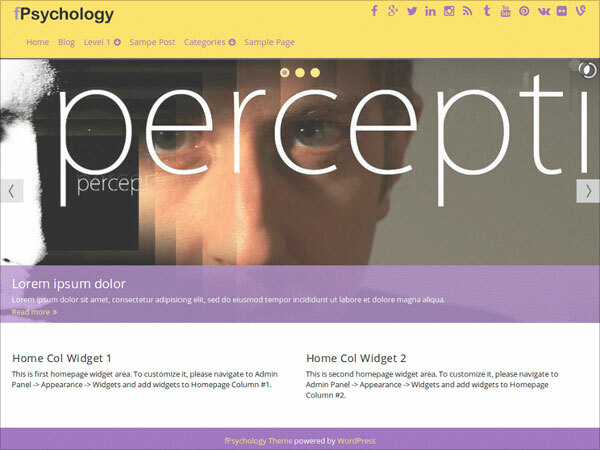 In that case, fPsychology WordPress theme is worth considering. The theme is SEO optimized, cross-browser compatible, and offer integration with social media sites such as: Google+, Facebook, LinkedIn, to name a few. How, any professional photographer showcase his work can make a huge difference in success and failure. And so, if you’re a photographer and want to achieve success in your field, it’s imperative that the theme you’ve chosen can help you display your work in the most efficient manner possible. 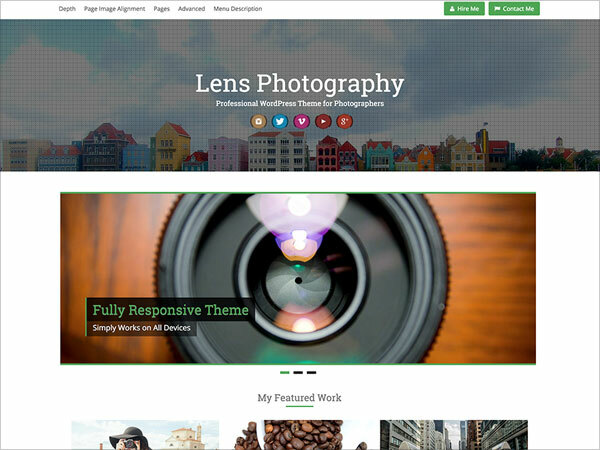 This is where the Lens WordPress theme comes handy. The theme has been developed keeping the needs of a professional photographer in mind. Some of its features are responsive layout, responsive slider, flexible header, a featured photos section and much more. This is an ideal theme for bloggers who write posts on a daily basis. 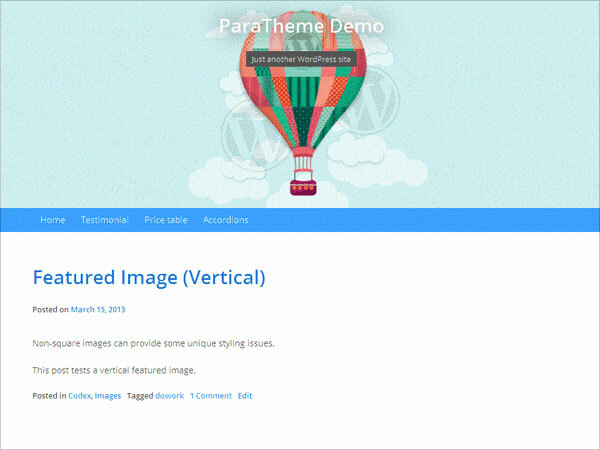 It features a beautiful-looking header that will enhance the blog look and feel. If you can even change the header image as you deem perfect, from the theme settings page. 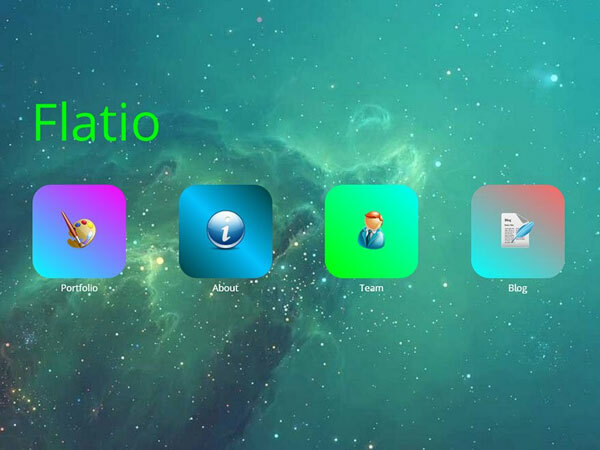 Besides this, the theme provides support for widget at footer, custom menu at header, etc. Telling stories via the website has become a popular web trend that is being followed by many site owners. If you plan on creating a storytelling website, then you need to use a theme featuring masonry layout. 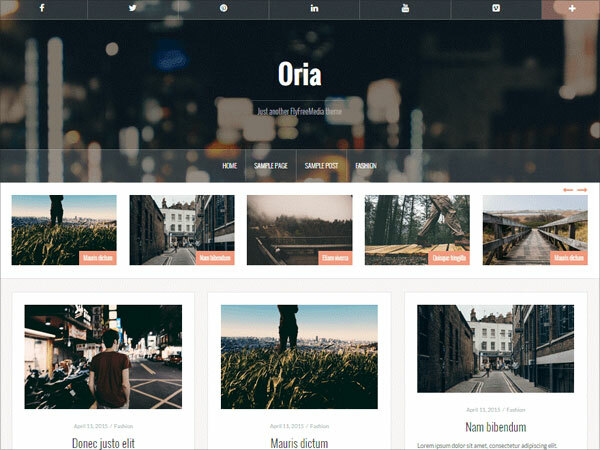 Oria is a responsive masonry WordPress theme that will make you tell your stories in a manner that easily catches the fancy of readers’. It comes loaded with features like parallax header image, responsive layout, custom colors, featured posts carousel and so on. 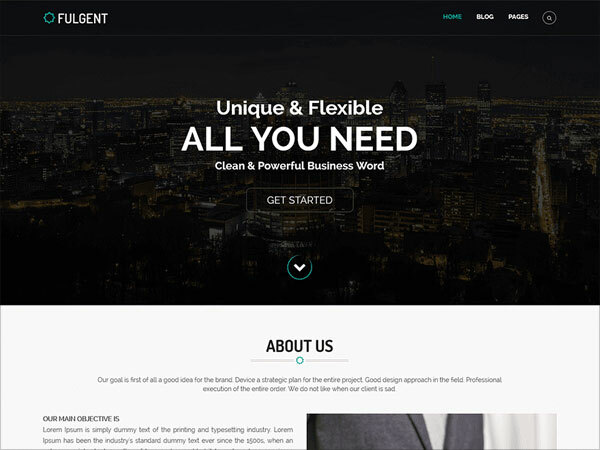 Fulgent is a perfect theme for building WordPress website, featuring a clean, lightweight, and highly flexible design. It is a bootstrap-based responsive theme that can be used for developing business, as well as, personal websites. Once activated, the theme will make your site to be displayed across many devices without horizontal scrolling. It comes packed with custom widgets, theme-options panel, etc., so as to help you customize the theme according to your needs. 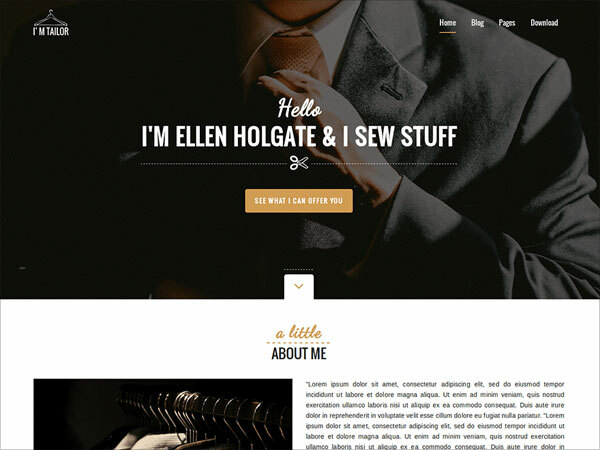 This is another great theme for creating a business-purpose or personal site. It has got a compact option panel that comes integrated with a Customizer, to give you the flexibility to make changes to your site and preview them in real-time. It is a responsive, search engine friendly, and translation ready theme. Typography has become a vital element for designers and site owners alike, as it helps make a website look prettier. 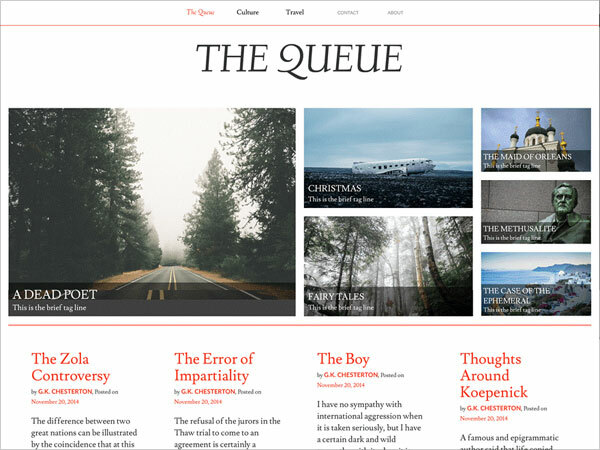 So, if you are looking out for a theme designed with meticulous typography, then the Queue WordPress theme is worth exploring. You can maximize the theme’s screen space as per your need. 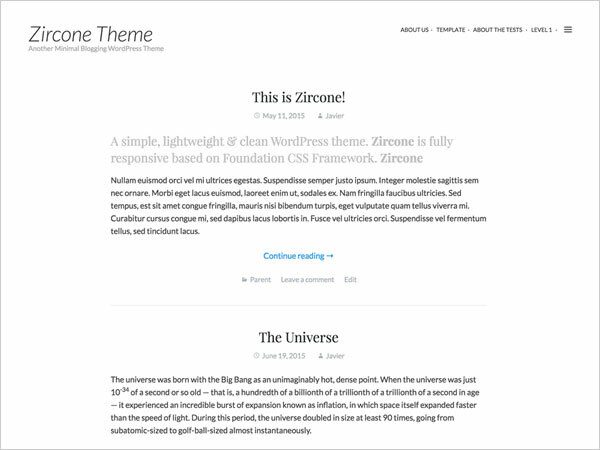 This theme is mainly designed keeping in mind the Foundation CSS framework. It features a simple design, and thus help convey your business message in the best possible manner. Additionally, it features a clean and lightweight code which makes the theme optimized for search engines. 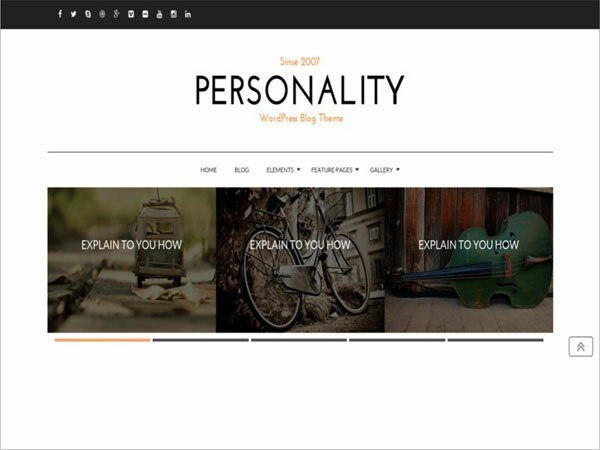 Irrespective of whether you want to set up a responsive blogging website or a personal blog, the Personality WordPress theme will help make your blog look impressive using beautiful typography and amazing effects. Besides this, the theme options give the ability to change your website, logo, favicon, font styling, and much more. 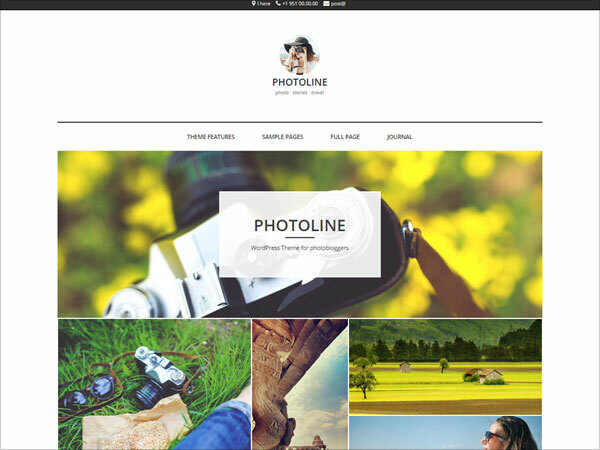 This theme features a minimalistic design and is suited for creating websites for photobloggers. 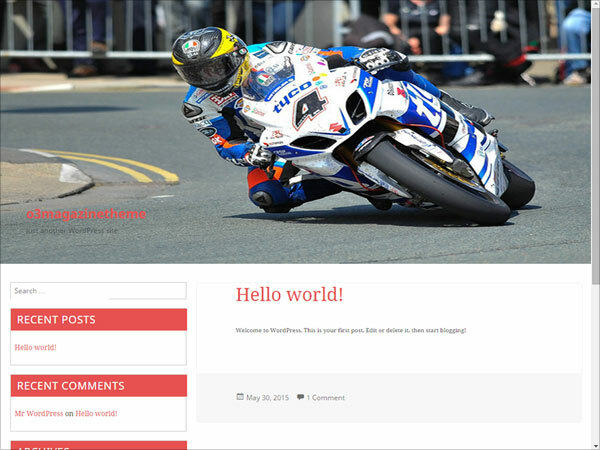 This theme is Jetpack-ready, responsive, comes integrated with WordPress Customizer and offers many other useful features. This is an excellent choice for setting up a magazine theme, as it features simple and straightforward typography – that makes the content of magazine website more readable. This theme enables to create WordPress magazine-style website in multiple languages – that can be accessed using any device – be it a Smartphone, tablet, or desktop computer. 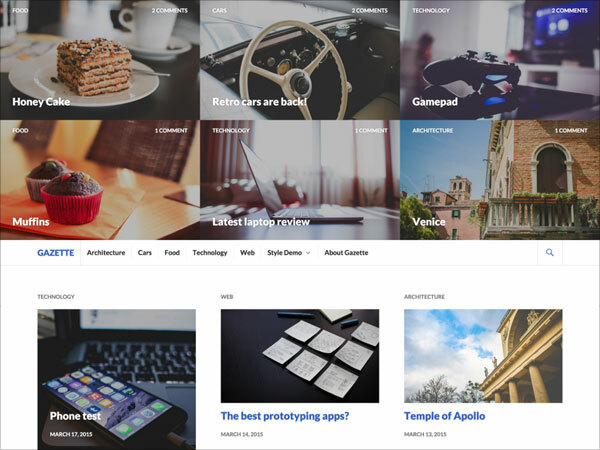 Featuring a neat and super-flexible design, Gazette best suit your needs for creating personal blogs, magazine websites, or any type of content-heavy website. The theme helps in highlighting the most important articles (of your choice) on the homepage. The theme is a perfect blend of text and images – that can be viewed consistently on any device. This is a right theme for people who want to create a restaurant and café website. It makes the process of adding and editing the menu a hassle-free task, and will help you show your best dishes along with restaurant decoration. In fact, it comes integrated a Map to make it easy for your customers to find your your location. Do you just want a theme that lets you showcase your content without creating any user distraction? In that case, Keep Writing theme is the most suitable option for you. 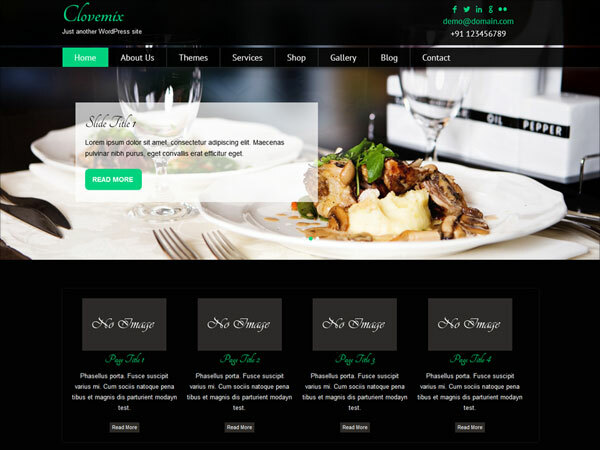 This is a responsive and multipurpose WordPress theme that is designed for people associated with the restaurant business. However, it can also be used to build sites for varied industries like a portfolio, corporate, non-profit or any other type of website. 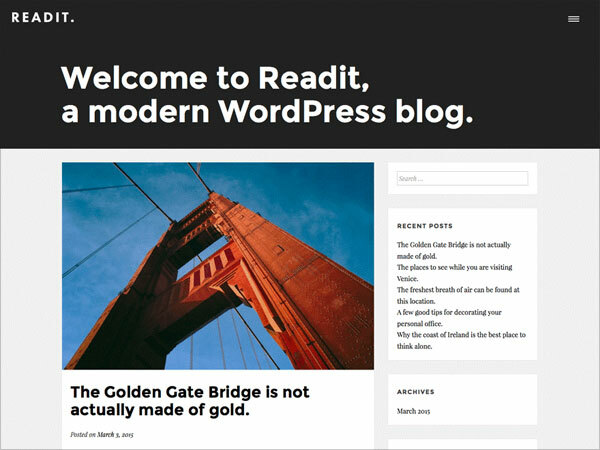 Readit theme is crafted for bloggers who prefer having a website with a clean design that makes the content easily readable. 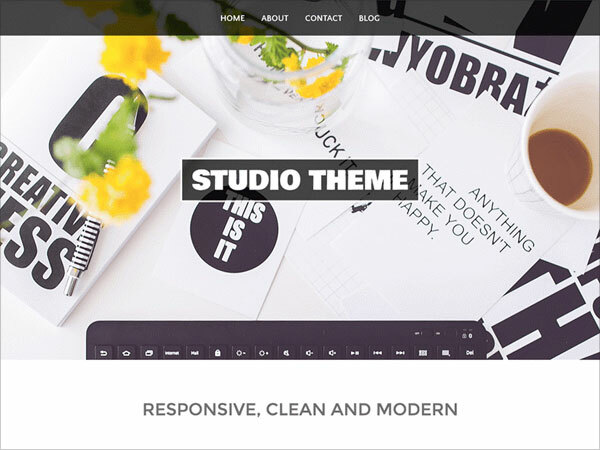 This is another multi-purpose WordPress theme that is perfect for building a business website or a personal blog. 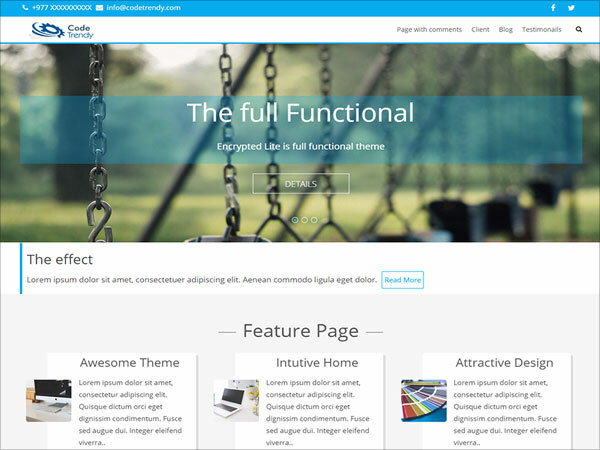 It is a responsive theme that features a flexslider 2, grid blog style, sticky header style, and contains several other great features. 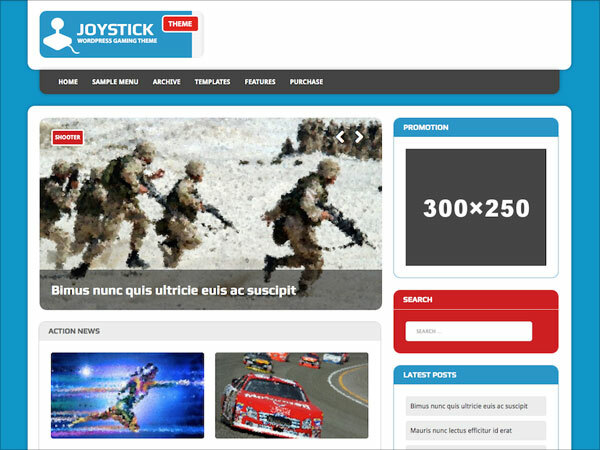 In case, you want to set up a magazine-style WordPress website suited for game lovers, then MH Joystick lite is a must-have theme. The attractive and stunning design of the theme will help turn even a boring blog into a vibrant online magazine that can be viewed on all browsers and devices. 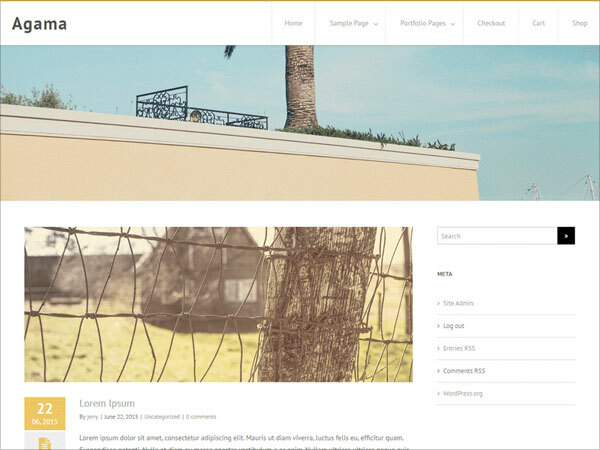 This is clean and modern theme that can be used to build any kind of responsive WordPress website. It provides a variety of customization options, allowing you to customize the look and feel of the theme based on your needs. So, that’s it for now! Hope that you’ll be able to find the perfect WordPress theme from the above listed WordPress themes. 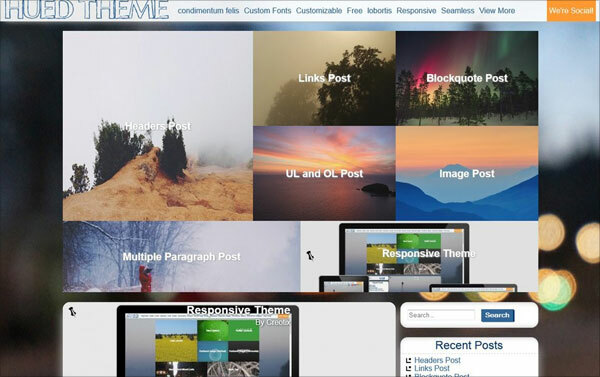 Contributor: Samuel Dawson is a prominent expert of developing WordPress themes. He is currently working as Front End Manager and responsible to convert PSD to WordPress in neat & clean manner. He has shared above the latest WordPress themes which are free of cost. Thankyou for mentioning our theme in your website. For more info you can check in following link http://codetrendy.com/. We have new update in the theme. Please do check.